Star Defender 4 is a breathtaking space shooting game. 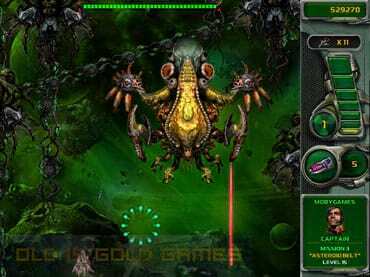 Dodge endless waves of enemy's fire and counter the aliens with various high tech weapons. In Star Defender 4 you rise against the aliens that threaten planet earth. You are the sole defender of our planet. Equipped with an array of highly advanced spaceships, you defend humanity from the waves of relentless alien creatures. The weapons of your spaceship are upgradable but beware of enemy's attack. Any contact with the alien or their projectile will cause the weapon system of the spaceship to be downgraded. Only you can prevent the destruction of humanity in Star Defender 4! - Star Defender 4 is a free full version game to download and play.